A professional organization dedicated to the practice and public understanding of conflict resolution. The Association for Conflict Resolution - Houston (ACR Houston) is a 501.c.3 organization dedicated to promoting Alternative Dispute Resolution (ADR) and conflict management, supporting and developing ADR professionals, and educating our community about the many uses and benefits of ADR. "NJ Prohibits Waiver and Non-Disclosure Provisions"
New Jersey continues to rewrite the employment law landscape under Governor Phil Murphy. On March 18, 2019, the state amended the New Jersey Law Against Discrimination (NJLAD) in two significant ways. "Dr. Manousso - TAM Award Winner"
Congratulations to Dr. Barbara Sunderland Manousso, ACR Board Member, who accepted the Susanne C. Adams Award for 2019 at the Texas Association of Mediators (TAM) conference on March 1, 2019. Dr. Manousso was honored because of her exceptional and outstanding efforts in promoting and furthering the use of mediation in Texas and around the globe. Are you having difficulty with login, joining or making a payment? 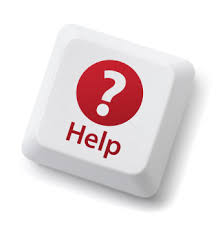 Go to our help section. Materials provided electronically by email or download. Bring laptop or tablet if desired. Register with HBA online here:https://www.hba.org/event/the-annual-conference-on-adr-2019/ or mail registration form along with a check (payable to: “HBA - ADR Section”) to Jennifer Bryant, Jackson Walker LLP, 1401 McKinney St., Ste. 1900, Houston, Texas 77010. Note: Pre-registration must be postmarked by April 19,2019. No refunds will be given after Friday, April 19. Electronic materials guaranteed for pre-registrants only. Light breakfast, lunch by Treebeards, drinks, and refreshments will be provided. For more information regarding registration, call Jennifer Bryant, 713-752-4200; jbryant@jw.com. Houston: Wednesday, 15 May 2019, 8:30 AM until 6:00 PM. See additional information here or at http://www.manousso.us or email us at mediation@Manousso.us. This is a terrific mediation model when divorce and child custody aren't your favorite clients, or if you like to help families. Lots of this work is done online, as well as in person. The Association for Conflict Resolution Houston Chapter's special guest speaker will be author and attorney Melanie Bragg at a luncheon at Seasons 52, on Westheimer in River Oaks District, at 11:30 am to 1:30 pm, on May 22, 2019. The three course luncheon will be $25 for ACR Houston members and $40 for non-members. Purchase Defining Moments: Insights into the Lawyer’s Soul online in advance, bring it to the luncheon and Melanie will sign it during the luncheon.